Hello everyone! 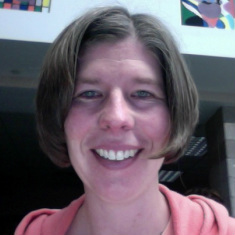 My name is Jody Knopp, and I will be working with you this year. I have been teaching children in the areas of reading, math, and language for over 15 years, but this is my seventh year with the Albany school family. I am a graduate of St. Cloud State University with a Bachelor's and Master's Degrees in Special Education. I am excited to learn all about my students and their families. I live near St. Joseph with my husband, 2 children, and the family cat, Katie. I love to read, garden, and spend time by the lake.